Get more out of KeepTrack by using the features listed below, all of which are available as in app purchases from the Additional Features section in the app. In many situations you would need to track several values at each time point. Some examples for this are car rides in which you would like to track both gas and mileage for each ride or blood pressure in which you would like to track both systolic and diastolic values. A multi value tracker allows you to group several trackers for this purpose. Nothing helps tracking something better than seeing it in front of you. Use our widget to place your most important parameters right on your desktop. The widget also works as a quick way to input new entries or access your tracker's data. 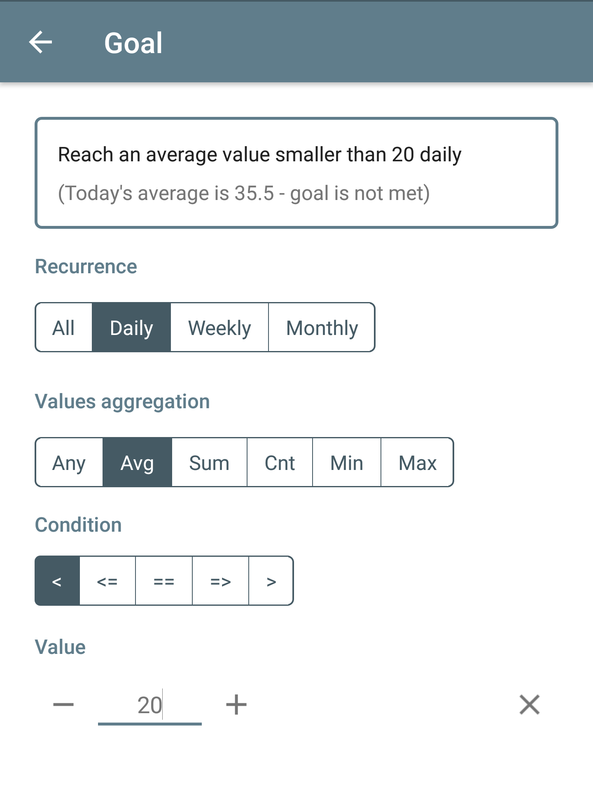 Collecting all this data is one of the best tools to reach your goals and our our Goal Management feature lets you define a goal for each of your trackers. Set a daily, weekly or monthly target where a target can be a specific value or any aggregation of values.